May 5, 2016, 5 p.m. May 5, 2016, 5 p.m.
What’s in a long drive if you don’t have your favorite track playing along? 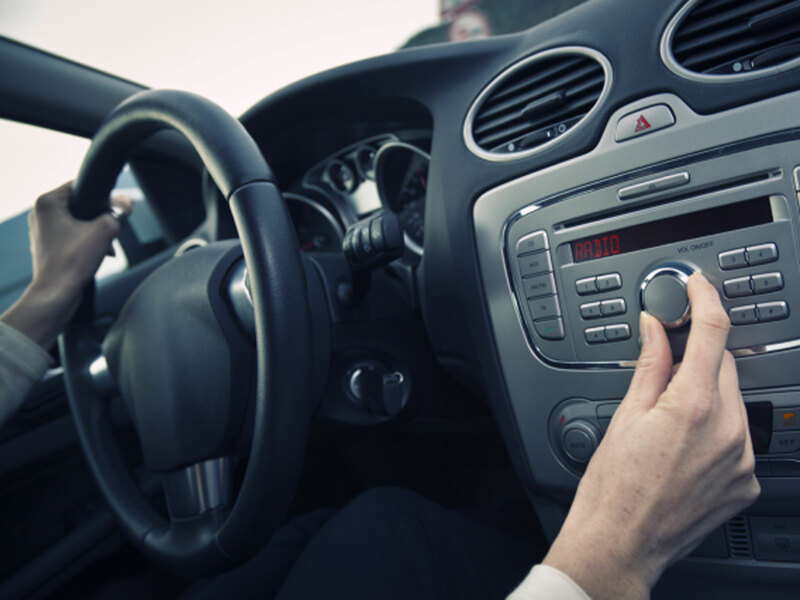 Whether you are driving with that special person sitting beside you or are into a wishful wandering all alone or are into a crazy fun drive with your gang of buddies- the sound system in your car has to be in the most upbeat condition. So, what’s the best driving music? Well, the post below offers a brief on some of the greatest of tracks that you are sure to enjoy while wheeling. It has to be in at the top of the list of best driving music here courtesy its selection as the theme song in one of the NASCAR events. With the racey feel going throughout the track, you have the right tune here to awaken the mighty speed racer within you and go on for some truly whacko drive. Remember the iconic club scene from the very first Blade flick where you had the New Order’s Confusion debuting with a mind-boggling response from the film & music connoisseurs around? Well, what about running the same track in your car and its smart rapid progression will inspire one to go on & keep up as you drive along. It’s certainly a must-have driving music for your car’s sound system. If you are looking for some good adrenaline rush with your driving music, Rollin’ would be a fantastic option for you anyday. This song is certainly a thrilling one for a majestic power drive and would be a great one to tune into in case you are ever feeling drowsy- and need something like a shot to pump you up. If you are looking for some real exciting driving music while you are on the plan of some crazy driving with your great bunch of buddies, this would be the song for you. With frenzy drumming and fast riff, you have a drooling rhythm waiting for you here- just check yourself from banging your head too hard as otherwise you are sure to hit the steering! Have fun. If you are somehow depressed, a long is great to relax and have a nice time out and it would be greater with this driving music playing along. With all its talks about “good life” you have the grand chorus here to help you forget the worries & have a wonderful time. It would be a nice song as well when you are driving around with your date seating by your side with both of you dreaming of a fantastic life together. If you are looking for some spicy beat as you drive on, this bilingual track would be a peppy driving music for you- thanks to its saucy Latin-inspired soundtrack & Brazilian setting. It’s quite an infectious number that will very soon have both you and all your friends humming along in joy. With its impossibly catchy, upbeat and breezy aura, this is certainly going to be a favorite for your car playlist. When it comes to best tracks while driving, this has to be on the lust here, especially when you are driving on the highways. With its great lyrics and Rihana’s sultry tune provoking you all along, your car playlist is kind of incomplete without this sassy number. The frenzy drumbeat is certainly not for everybody and there are some who would feel great to have some soothing piano music while on the drive. If you are one of them, this great number by Ray Charles is sure to be in your list for good. It’s friendly, nice and the piano chords set a very tranquil tone throughout – not to forget you will simply fall for the velvety voice of Ray Charles. If you are a fan of old R&B instrumental for your driving music, this track would be an amazing inclusion to car’s playlist. It’s steady beat and the melodious Hammond organ keep the things interesting throughout. Definitely, one among the best tracks ever, Green Onions is a song which you can play while driving alone or while having a nice chat with a dear friend in your car. And, if you are driving your dad or mom or uncle, this should be the track you are going to play for them. This Sheryl Crow track is sure to be your number while you are at the winding roads in your long drives. The beautiful lyrics speaks about the ups & downs in life just as you encounter while driving across an exciting route and its these variations which make the both the life & drive so interesting. Added to the lyrics, you are sure to love the fiery chorus which does much to pump up your drive for better. If you are looking for some soothing stimulus while driving at night, this has to be your number in the car playlist. With its rare sonic magic, the song captivates you taking you to a beautiful trance and its haunting vocals complement the tune duly. For the best of experience, tune into this Mazzy song while on a moonlight drive.